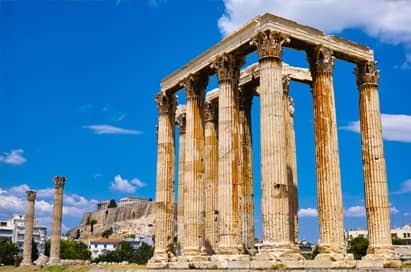 Greece, the land of myths and legends, is home to historical sites that have stood for four millennia. 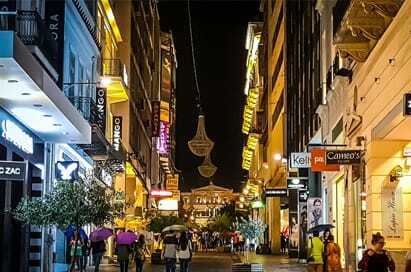 Athens, a modern and bustling capital with a pervading sense of its classical past as it lives in the shadow of the Acropolis and the mighty Parthenon. 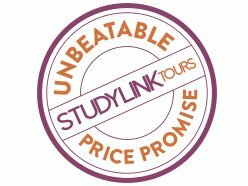 For students of Archaeology, a variety of excursions during your study trip to Greece will help bring your subject to life and enhance your first-hand experience, from Olympia in the west to Mycenae and Delphi, the sheer number of historic sites is astounding. 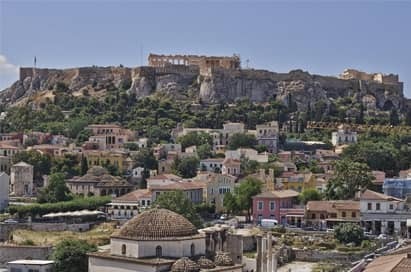 No visit to Athens is complete without a visit to the Acropolis to see the Parthenon, the symbol of classical Greece, as well as the Erechtheum. Explore the Acropolis Archaeological Museum and take in the spectacular view from the Acropolis of the Theatre of Dionysos, the first stone theatre ever built. 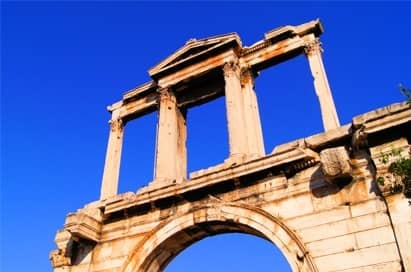 Take our three hour guide and coach walking tour to see all this as well as The Sanctuary of Zeus and Hadrian’s Arch. This Acropolis is a marvel of architecture with a full exhibition of the glory of Ancient Athens. 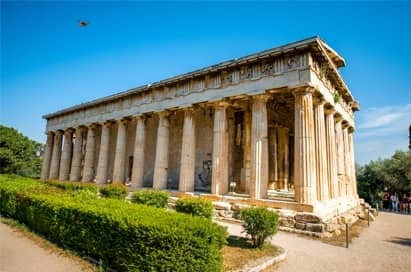 Various attractions such as votives, artifacts of every day life, statues from archaic period, Caryatids, and of course the Parthenon hall with the metopes, the pediments and the frieze. The Temple remains show the size of a fabulous temple and Roman arch that separated the new and old cities of Athens. The most important archaeological museum in Greece has a vast range of exhibits. 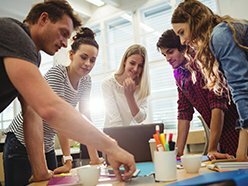 Introduce Greek sculpture or examine it in depth, use scenes from Greek vases to illuminate daily life or mythology or study the skills of the craftsmen of the Mycenaean world. Also see the golden mask of Agamemnon. Climb up the Sacred Way past the Treasuries and the Temple of Apollo to the stadium - a must for groups studying Greek religion. The museum contains the ‘Charioteer’ and the sculpture of the Siphnian Treasury. Imagine the Oracle where people came to have questions about the future answered. 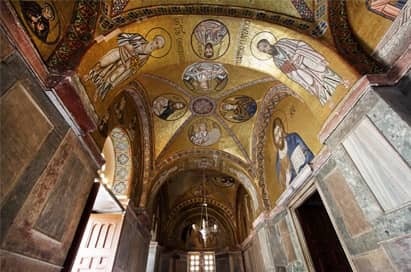 The peace of the monastery at Hosios Loukas, one of the most impressive examples of Middle Byzantine art and architecture, provides a welcome break on the journey from Athens to Delphi. Take a close look at the Temple of Hephaistos, and visit the museum which provides evidence of politics and daily life in ancient Athens. 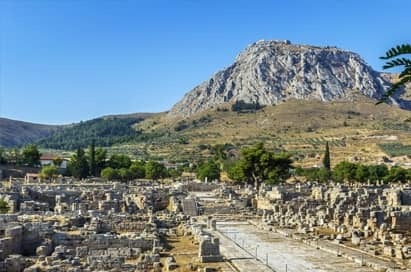 This is a fascinating place for archaeologists to explore and a place to walk in the footsteps of Socrates, Pericles, Cleon and more Classical figures. 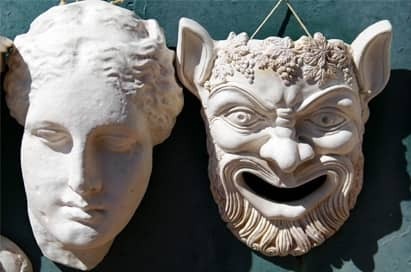 This fascinating workshop presents the ancient tragedy mask and its importance to the Greek drama. The classical 'helmet' mask as depicted by the archaeological evidence is considered by classicists as one of the defining conventions of Greek theatre. Optional performance opportunity using the masks to practise skills in an ancient Greek drama. Take a cruise to the Island of Aegina. Here, your group can spend time visiting the Temple of Aphaea dedicated to the Greek Goddess. 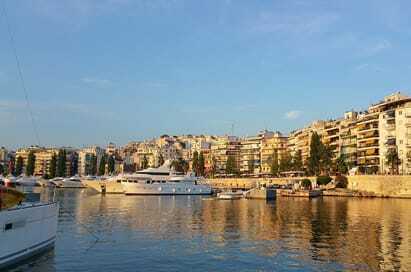 A separate full day cruise of the islands Aegina and Poros is also available. Here among the ruins of the Sacred Way and the Sacred and Dipylon Gate, archaeology students will be in their element. In the museum, Classicists can marvel at the grave monument of Dexileos and a recently discovered early kouros. Dedicated to the study and promotion of ancient cultures of the Aegean and Cyprus, with special emphasis on Cycladic Art of the 3rd millennium BC. 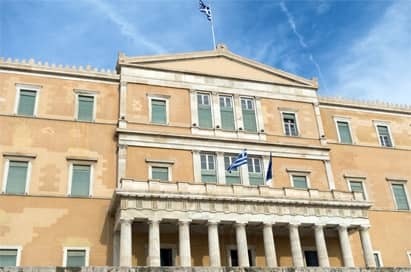 A representative sample of the early period of Neoclassicism in Greece and today, the seat of the Hellenic Parliament. 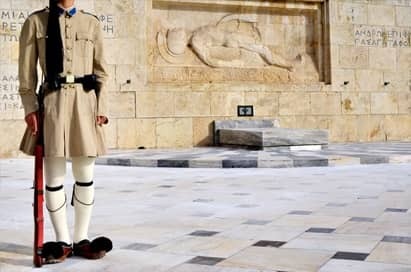 See the changing of the guard at the Parliament. Starting at the foot of the Acropolis, the old area of Plaka is a maze of narrow, cobble-stoned, medieval streets that twist through ancient sites, tourist-packed squares and lovely Byzantine courtyards. 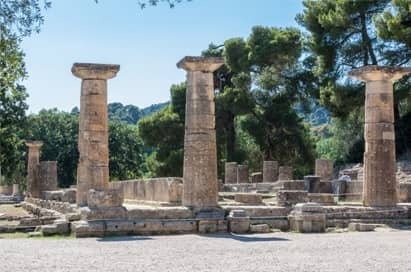 The sculptures and artefacts in the Olympia Archaeological museum help recreate the tumbled columns of the Temple of Zeus within the Altis (the Sanctuary of Zeus), a fascinating place to explore. 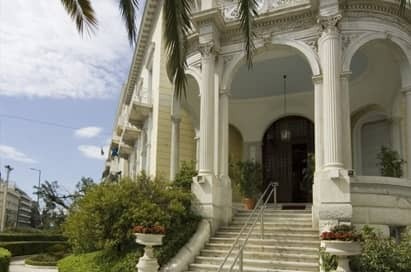 Don’t miss the famous Hermes and the infant Dionysos statue here either. 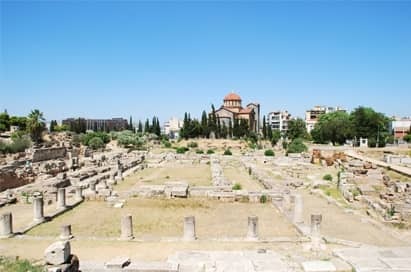 Students can also visit the Olympic Games Museum and Stadium site, venue of the first recorded Olympic Games in 776BC which is always of great interest. A great deserted, fortified Byzantine city overlooking the valley of the Eurotas. Here groups like to climb to the walls of the Frankish Castle, built in 1245. 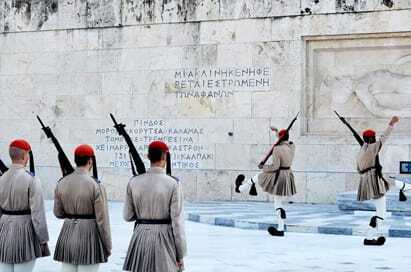 Once the dominant military power in Greece. Students enjoy exploring the city and visiting the Tomb of Leonidas. The broad fertile valley of the Eurotas makes it easier to understand the success of the Spartans. 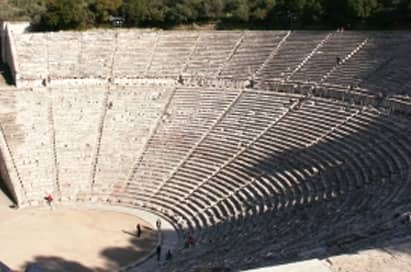 A chance to see the best example of a Greek theatre (not transformed by the Romans), and test its perfect acoustics. 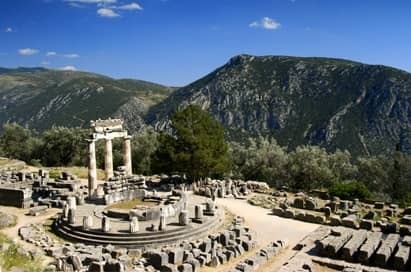 The Sanctuary of Asklepios, a famous healing centre of the ancient world, is also worth exploring. 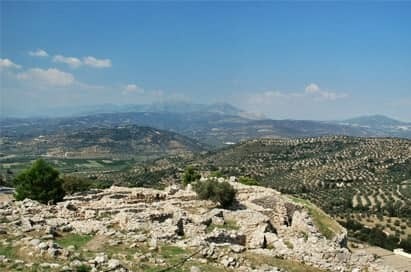 In Mycenaean times Tiryns stood by the sea, commanding the coastal approaches to Argos and Mycenae. 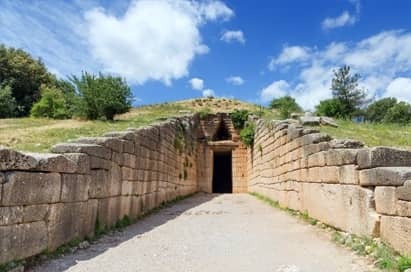 On a small scale and easy to understand it provides a great site for archaeology students to study a Mycenaean palace and Cyclopean walls. The store rooms are particularly worth seeing. A popular stop en route to or from Athens. 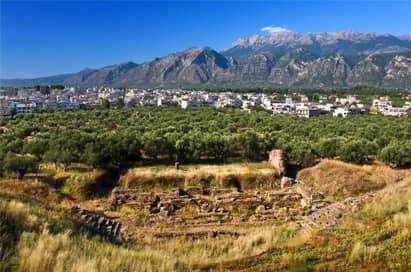 Students enjoy exploring the ruins of the once-great Roman city with its marketplace and shops overlooked by the archaic Greek temple of Apollo and the towering fortress of Acrocorinth. The well-preserved remains and the Archaeological Museum on the site help visualise the city as it was. 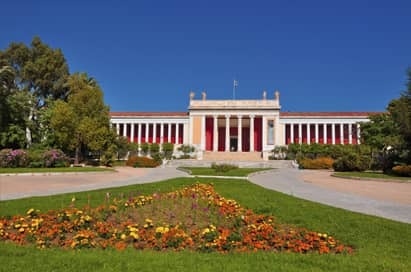 This museum was built to house every artefact found on the archaeological site of the Acropolis of Athens from the Greek Bronze Age to Roman Byzantine Greece. It also lies on the archaeological site of Makrygianni and the ruins of a part of Roman and early Byzantine Athens. The museum’s permanent exhibitions include, the Gallery of the Slopes of the Acropolis, the Archaic Gallery, and the Parthenon Gallery. 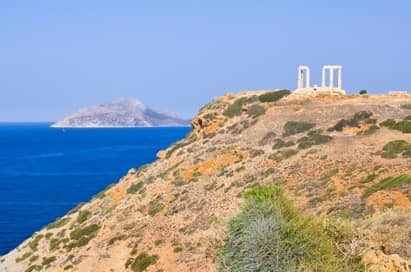 Cape Sounion is a promontory located 69 kilometres (43 mi) south-southeast of Athens, at the southernmost tip of the Attica peninsula in Greece. Cape Sounion is noted as the site of ruins of an ancient Greek temple of Poseidon, the god of the sea in classical mythology. The remains are perched on the headland, surrounded on three sides by the sea. 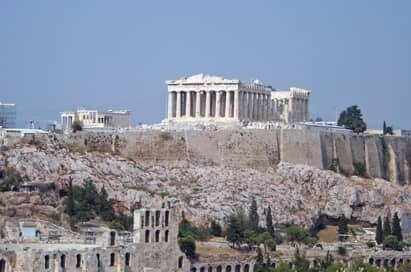 Orientation tour of Athens including stops at the Acropolis, Hadrian's Gate and the Sanctuary of Zeus. 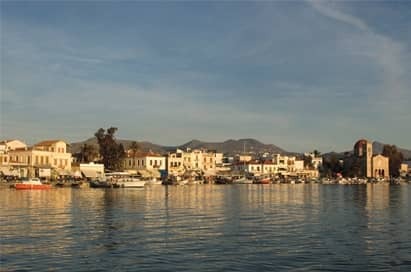 A leisurely cruise to the beautiful islands of Aegina, Hydra and Poros. As well as offering a more peaceful alternative to the city, each of the islands have interesting harbours, shops and cafes to visit if time allows. Folklore evening with dinner in a taverna in the Plaka district of Athens, though not exactly a ‘typical Greek evening’, as it is often referred to, it’s sure to create a terrific atmosphere. 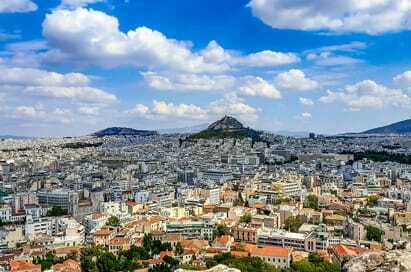 The highest hill in Athens offers a panoramic view of the city. At the summit is a small 19th century chapel of St. George. 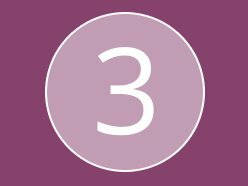 You can reach the top either by foot or by a funicular which can be taken from Kolonaki. Pireus has been the port of Athens since Classical times. Lying at the innermost point of the Saronic Gulf, from ancient times to the present, its destiny and function have been determined by location. There is a naval museum and the ruins of the Ancient wall of Themistocles. The Greek parliament presides in the Old Palace which is located in Syntagma square. In earlier times when the country was ruled by monarchs it was the Royal Palace. The palace was originally built as a home for the crown prince in the previous century but is now used by the Greek Parliament.